In Bend, OR, Sean Quigley grabbed runner-up honors at the USATF Club National Cross Country Championships, clocking 31:11 over a tough European-style 10k course. In snowy and cold conditions, Brent Vaughn led his new club Champions League Athletic Performance to the team title with a fourth place finish. With Vaughn running 31:20, just nine seconds separated the pair of former housemates who spent the summer of 2009 together at the KIMbia training camp in the Netherlands. 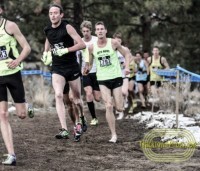 With both now headquartered in or around Boulder, expect to see the two Colorado-based athletes to mix it up at the US Cross Country Championships to be held there on February 15th, 2014.